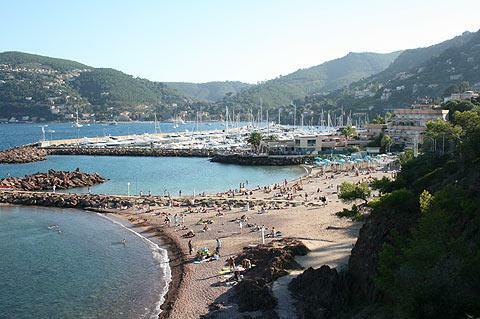 At 40 kilometres from Nice and just 10 kilometres from Cannes, the town of Theoule-sur-Mer is centrally situated on the French Riviera in a lovely setting below the Esterel massif and fronted by the sea. 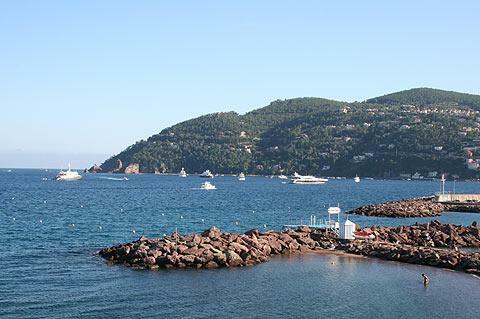 Theoule is only a small town, and has an attractive harbour / port along with easy access to beaches and also to the dramatic rocky coastline that characterises the region. 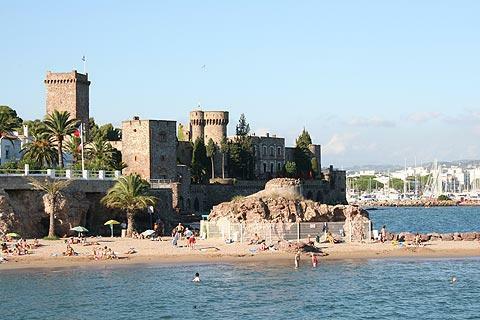 Really there are several ports in Theoule-sur-Mer, each with it's own characteristics: the Port of Théoule, the Port de la Rague, Port la Galère, and the port de la Figueirette. There is little in the way of major monuments...but don't worry too much - just stroll around, enjoy a drink in a cafe, look at the gardens, and generally relax. There is also a harbour for pleasure boats and a selection of cafes and restaurants - visit the courtyard (train station entrance) opposite the castle entrance for a few options. Alternatively if relaxing isn't your thing there are ample opportunities to set off hiking into the hills and forests behind the town or exploring the region by bike. 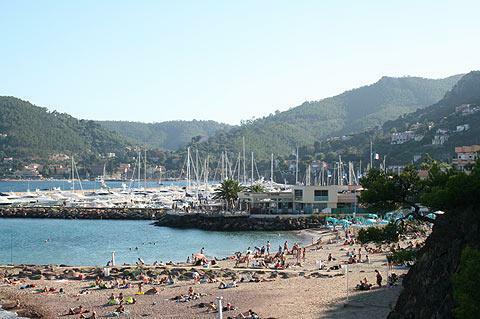 Of course after these exertions you will need to find time to enjoy one of the beaches in Theoule-sur-Mer. 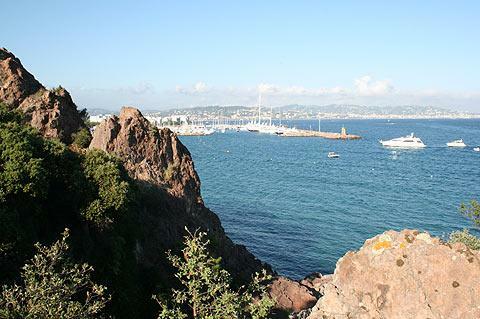 There is a coast path that runs from Theoule-sur-Mer towards Mandalieu-la-Napoule that passes the castle, a couple of very small coves, and crosses some rocky sections with views across the sea to Cannes. 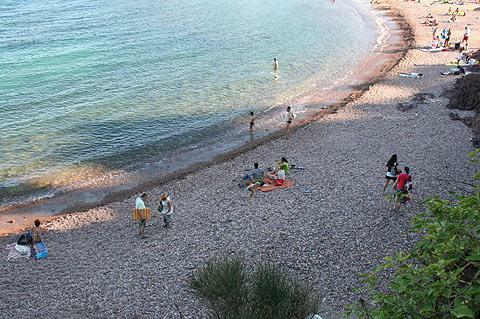 The most well known part of coastline near Theoule-sur-Mer is followed by the so-called Corniche d'Or, a road that follows along the red coastline below the Esterel massif and is famous for being one of the most attractive stretches of road in France, passing beautiful landscapes with the deep blu sea to one side and the red cliffs to the other.